We've been in the timber business since 2004, and in the inkjet business for a little while longer. We have a blend of skills including mechanical design, software and controls engineering, and a steadfast commitment to provide excellent customer support. You can be confident that we understand your production environment. 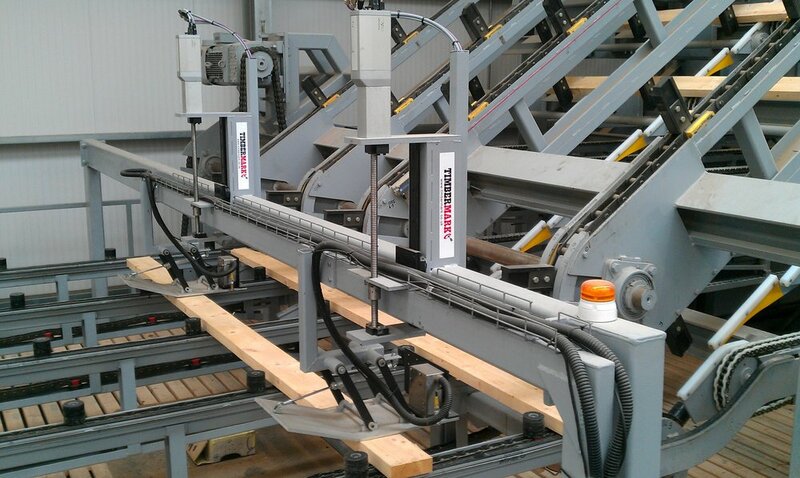 Our systems are robustly-engineered and built heavy duty to last for years in sawmills and pallet factories. We are fully insured for public liability, and are familiar with site safety procedures. We very much enjoy the challenge of new printing applications, and we welcome your contact to discuss what you would like to achieve.